The forest products industry has come a long way from the logging practices of the 1960s and 70s. The work we do today all starts with responsible sourcing. That means 100% of the woodlands Resolute manages meet internationally-recognized standards for responsible forestry. And the conversion of forests to non-forest uses or plantations. In addition to harvesting trees responsibly, we support prompt reforestation of the harvested areas. That’s a key practice of woodland sustainability. 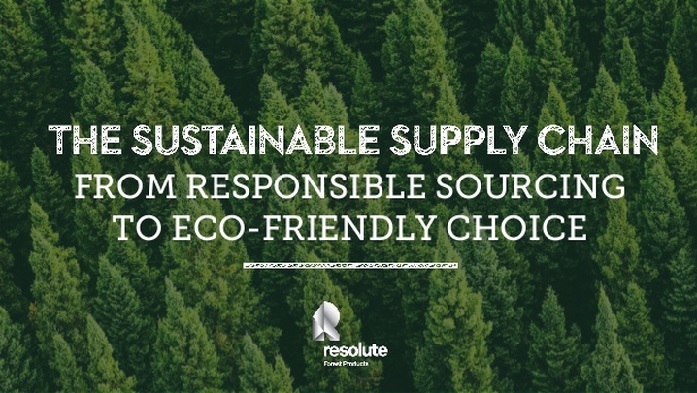 Our sustainable supply chain means we can confidently offer high-quality, environmentally conscious choices, and so do our customers.